Known for his contribution to Detroit Techno and minimal techno music in the 1990s, Richard Hawtin was born on June 4, 1970 in Banbury, Oxfordshire, England but moved to Windsor, Ontario at the age of nine. Hawtin’s father, who worked as a robotics technician, was a great influence on Hawtin’s life as he introduced his son to electronic music. Hawtin started working as a disc jockey in Detroit clubs when he turned 17. At that time, his music style was a mixture of techno and house. It was during this time that he met John Acquaviva and the two formed Plus 8 Records together as Hawtin originally wanted to release his own records using the alias F.U.S.E. He was enrolled in the University of Windsor where he was pursuing a degree in film making but soon dropped out of college. The duo’s brainchild, Plus 8 released works of artists such as Speedy J and Kenny Larkin. He used the alias “Plastikman” to release his own tracks from 1993, releasing singles such as, “Spastik” and “Sheet One” which were a massive success. In 1993, Hawtin signed a contract with Nova Mute and following in 1996, he released a series of singles which were titled, “Concept 1” and were loosely based on the concept of minimal techno music. After living in New York between 2002 and 2003, he decided to relocate to Berlin, Germany where he diverted all his attention on his M_nus label. He helped to boost careers of artists such as Gaiser, Magda and Troy Pierce. In 2006, Richard Hawtin got together with Enzo Cosimi and the two collaborated together on a composition titled, “9.20” for the opening ceremony of the Winter Olympics. In 2008, he conducted the, “M_nus presents Contakt” tour featuring him, Troy Pierce and Magda, amongst other artists, who displayed the use of a new music technology, called “Lemur Controller”. 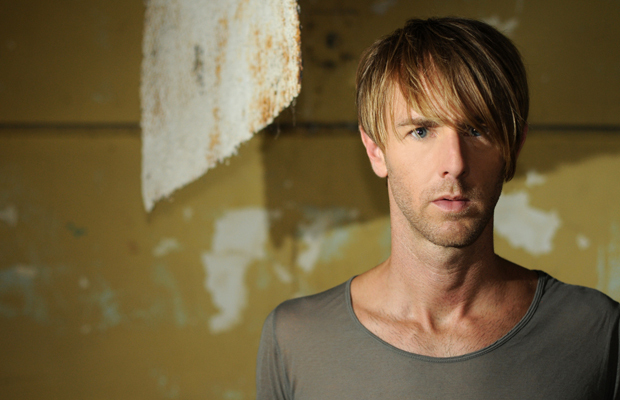 In 2010, during the Time Warp festival in Mannheim, Hawtin announced a new Plastikman show, called “Plastikman 1.5” which then embarked on a world tour. Following in 2011, Hawtin collaborated with Anish Kapoor to work on an installation in the Grand Palais in Paris and in 2012; he worked with Ean Golden and Loco Dice in an effort to promote Electronic Dance Music. The trio went on a tour of North American Universities which was named, “CNTRL: Beyond EDM” and hosted music seminars, live performances and music lessons. Alongside this, in 2012, Richard Hawtin introduced his experimental event titled “ENTER.” in Space, in Ibiza. It was comprised of five customized rooms with a wide selection of electronic music. A year later, he performed at the Solomon R. Guggenheim Museum in New York as “Plastikman” and according to him; it was this performance and the response it garnered that led him to start working on his next album. Simultaneously, he also paired up with his brother, Mathew and worked on pieces titled, “Contained” which were showcased at the Art Basel in Miami, in 2013. Over the span of his career, Hawtin has released music using aliases such as “F.U.S.E”, “Circuit Breaker”, “Chrome”, “Jack Master” and “Concept 1”, amongst others. He has also collaborated and worked with artists such as, The Hard Brothers, Cybersonik and Hard Trax, to name a few. Along with Pete Namlook, he produced the series of albums, titled “From Within” which featured the combination of ambient and minimal techno music styles. Hawtin has also worked with Sven Vath to produce a mixed CD titled, “Sounds of the Third Season”. In 2011, he released, “Arkives 1993 – 2010” which features all his previous works as Plastikman, as well as unreleased work.